One of Britain’s biggest car makers is planning an export boom outside Europe after Brexit as it seeks to boost profits from the US and Canada. Honda announced the plan to reduce its dependence on the Continent as it unveiled its new five-door Civic family hatchback – the 10th generation of this popular model – with its Swindon factory as the global production hub. The new strategy means the proportion of Honda cars exported from the UK to the world beyond Europe will soar four-fold, from just 10 per cent to 40 per cent of production. In a ringing endorsement of the UK economy post-Brexit, the Japanese boss of Honda in Europe says the car maker is firmly committed to building its vehicles in Britain and exporting them to the wider world. Katsushi Inoue, Honda Europe’s president and chief operating officer, said: ‘The launch of this new model is very significant for the European region, not just because of the improvements made in the product, but also what it means for this factory here in the UK. ‘The strategy of transforming Swindon into a global production hub was our plan regardless of Brexit. Honda is investing £200million to build the new Civic in Swindon, taking its total investment to £2.2billion as ‘part of a long-term vision for the plant in Honda’s global operations’. Mr Inoue promised a ‘clear and sustainable future role’ for the factory as it broadens its export markets and horizons beyond Europe towards other growing areas, such as North America, Australia and South Africa. A new Civic will come off the line at Swindon every 69 seconds, with about 800 vehicles produced per day – nearly half of which will go to America as part of the new post-Brexit export blitz. Swindon, which manufactured its first engine in 1989 and first car three years later, also builds the Civic Type-R and Tourer. Its CR-V off-roader will be phased out by 2018 as Civic production cranks up. Honda has taken on 600 more employees to build the new hatchback, taking the total workforce to about 3,600. 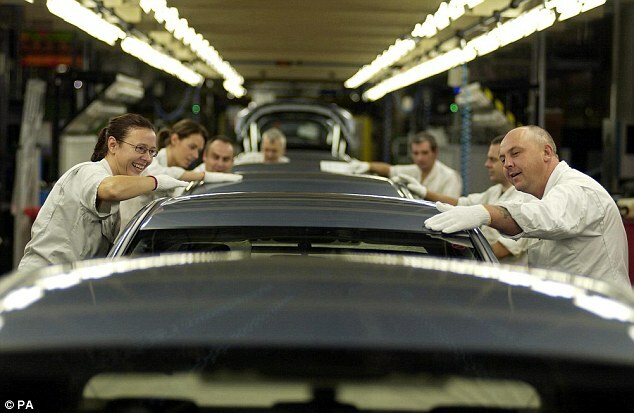 Currently 40 per cent of cars built there are sold in the UK, 50 per cent exported to Europe and 10 per cent to the rest of the world. Now it forecasts that 20 per cent will be sold in the UK, 40 per cent exported to the Continent and 40 per cent to the rest of the world, mainly North America. Mr Inoue said: ‘We have a clear role in our global production network for this facility and we remain committed to our sales and manufacturing operations in the UK. 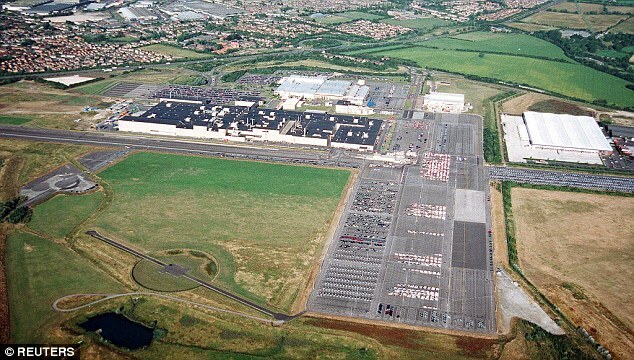 ‘In recent years, Swindon has produced cars for the UK market and for export to mainland Europe. 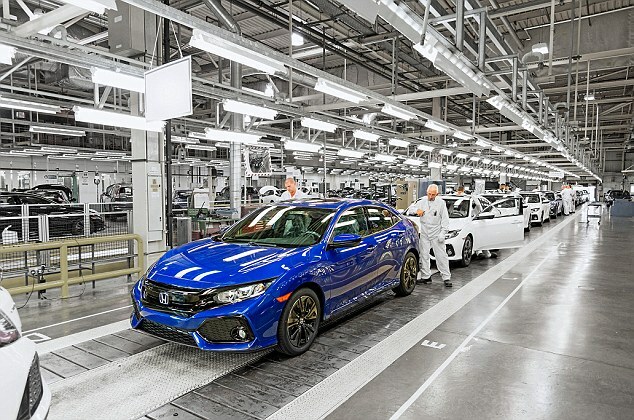 ‘It will now become the global production hub for the Civic hatchback, producing cars for the UK and Europe, but also for export to North America. Full production for the UK and European markets will start in February with cars hitting showroom floors in spring. Pre-production cars are now being built for testing. The upbeat comments of the Honda boss are in sharp contrast to the Japanese government, which had warned that some of the nation’s manufacturers may switch their operations from the UK to Europe as a result of Brexit. Honda also stressed that being outside the EU did not create any technical issues on car specifications – it exports to 70 markets and already manages 548 variants. Swindon plant director Jason Smith, who has worked at the factory for 25 years, said: ‘We’ve been chosen as the global hub to build the new Civic for the world. ‘There’s a real buzz at the factory. It’s the first time in a decade we’ve exported a car to North America. It’s exciting times for us. We take real pride in what we do. ‘The US is a fantastic, untapped opportunity. Currently almost all of our production is for the UK and Europe. Found: 1979 Yamaha RD400F – Brand New and Still in its Crate!